As someone who hasn’t always had mobility, especially mobility that someone my age typically has, I really love any activity program that keeps people mobile. This is especially important as people age – as mobility generally decreases. For someone like me, who already has limited mobility due to my hypermobility syndrome, it’s so important to find fitness classes, centers, and instructors that understand how to deal with mobility issues. 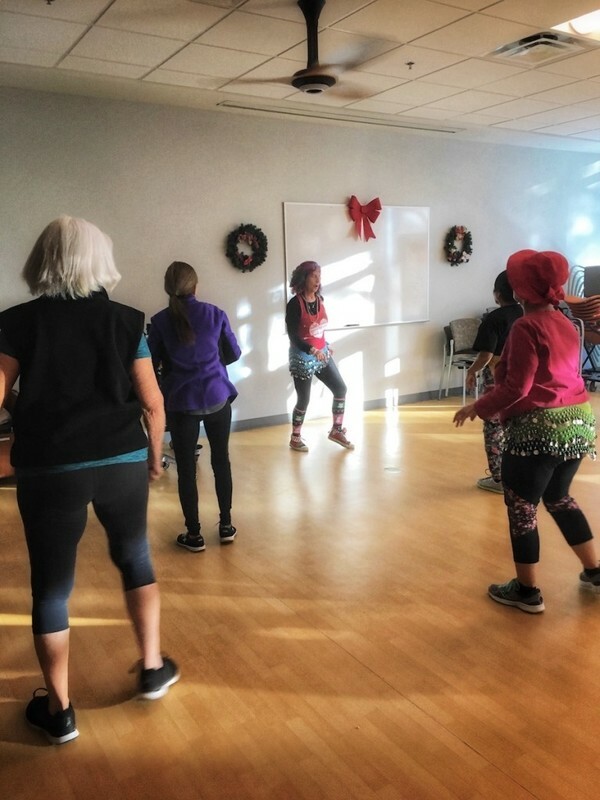 I was lucky enough to attend a “senior” Zumba class at the OptumCare® Community Center in Phoenix, AZ. It was only one of many jam-packed classes they had going on that day. Just check at their busy community calendar! Why is senior in quotes above? Because the classes aren’t just for those who qualify as seniors, or at least the seniors that you may be picturing in your mind. 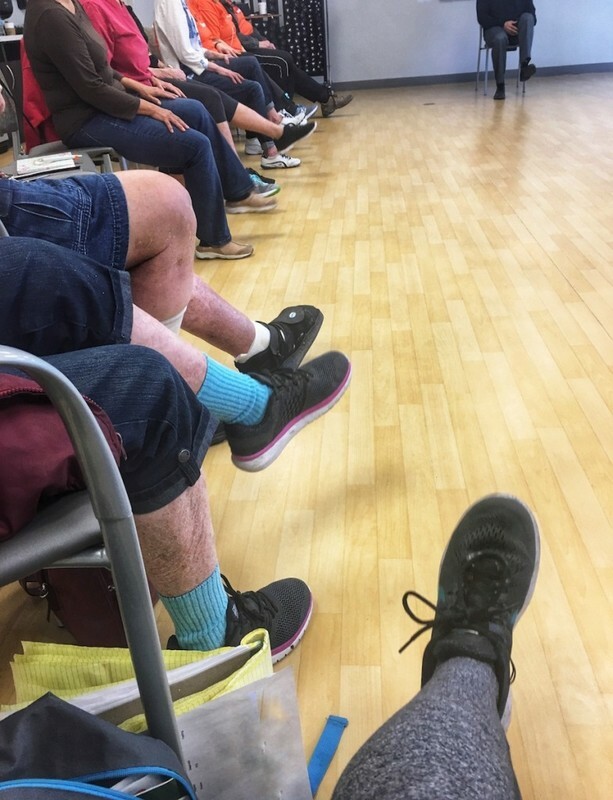 While community centers like this one from OptumCare may induce visions of your granny in a walker who is unable to bend down to get the morning paper, much less boogie – the friends I met at the community center were far from letting life slow them down. I met one client in class who I was told was a killer line dancer. So I asked her when she started dancing. She told me that after she retired, she started dancing because she had so much free time. She does Zumba at the community center and line dancing at other centers across the city. Her calendar is just as packed as mine. Plus, she has purple hair and a way cooler haircut than I have. As people started filing into the Zumba class room, I realized that everyone knew everyone. And everyone was keeping busy. These ladies in class certainly are not like my own grandmother – a frail woman who can barely walk. We had women in their 90’s who attended class. While they couldn’t get down like women who were in their 60’s – they were there. And they were dancing. And they were active. Everyone at the Zumba class was kind and friendly – especially to me, the new girl. They wanted to make sure I learned all the new moves, and that I had a good time. They asked me about my mobility and I was told not to get too crazy with my knee (something I thankfully leaned when taking a Zumba class before, one that I twisted my ankle in a few years back). Between jams they talked to each other about their kids, their holidays, their grandkids, and their health. They gossiped just like the girls in my Pure Barre class do. I was actually sad at the end of class to leave – everyone was so nice! But at the end of the class I was sweating and my Apple watch told me to take a breather before the next class. It wasn’t just the people in the OptumCare Community Center that were awesome. The staff knew everyone by name and chatted with every one of them as they came in and swiped their key fob. This is the same kind of care that they talked about with me when I met with the team at the OptumCare primary care clinics. Speaking of senior care, the team pointed out to me that while they are friendly and caring, they are not coddling or enabling the clients. One client couldn’t get his fob to work, but the staff didn’t reach over and say “Oh, I’ll just take care of that for you.” These senior clients can do things for themselves, they don’t need to be treated as fragile – just grown adults. Even those with limited mobility or injured, they didn’t ask others for help, they just did what they could without leaning on others. Each client was respected and expected to participate at whatever level they could – as long as they were doing something. On top of Zumba, I also had a chance to be a part of their BrainSavers curriculum at OptumCare. The room was packed full of adults of varying health and large age ranges. However, they all came together for bi-weekly classes all about health – emotional, mental, and physical health. We sat in a large circle, discussing neuroplasticity and memory. As a class lesson, they had to remember a dance they learned the week before, and they had to teach the class the dance. Each group of seniors came to the front of the class and taught the rest of the class their dance. 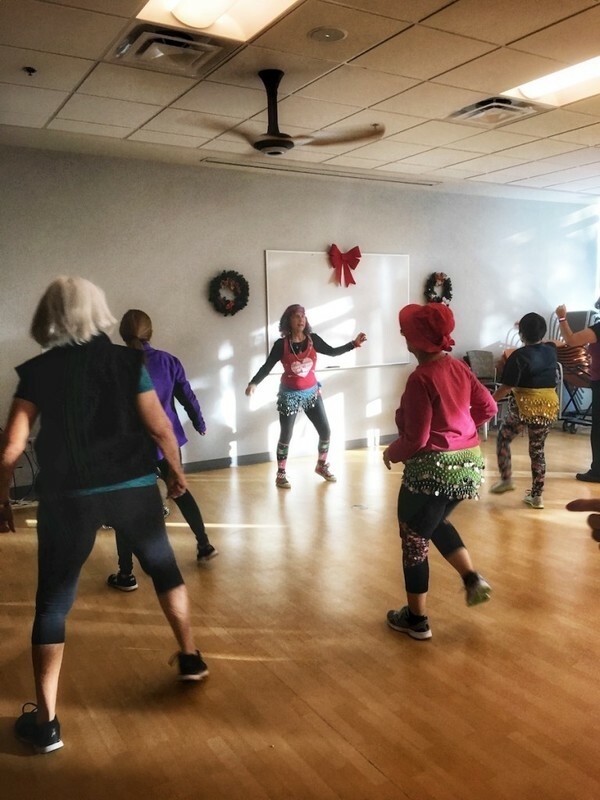 At the end, after some pretty sweet moves, they all realized that they increased their mental fitness – learning dances from others and then teaching others, but also increased their physical fitness as they danced throughout the class! And all of these options, including the BrainSavers, including the Zumba, including access to the fitness room with new equipment made just for the aging population, and free coffee and tea – all of this is free. 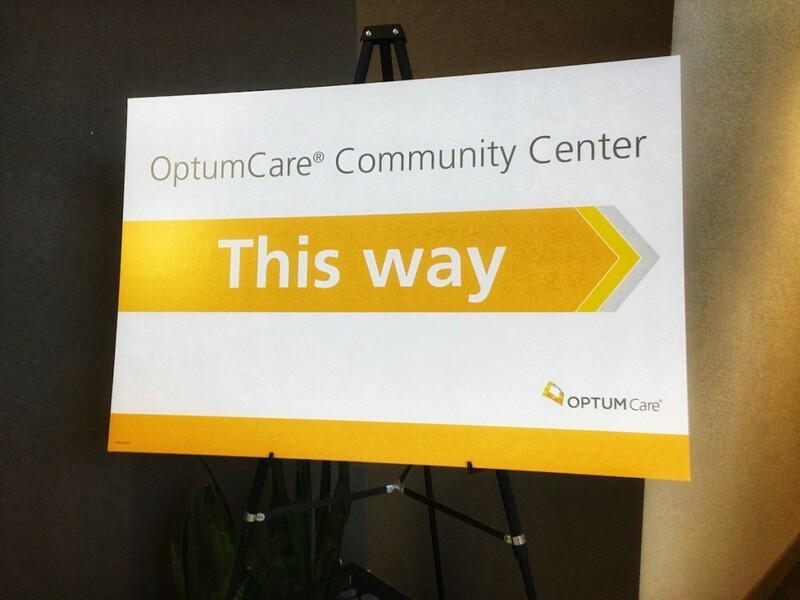 That’s right – the OptumCare Community Center is free to register and attend the classes and just hang out. One client came up to me and told me that this community center was a “gift” to her. And I believe it – it’s a place that I would want to hang out! It was a great day at OptumCare Deer Valley Community Center, and I’m happy to know that these clients have great days like this whenever they get a chance to come to the center too. What a fun place! I wish they had something like this in Toronto, I feel like my grandparents would love these kinds of activities and social outings. This is fantastic Erica. Those ladies look like they are having a blast, and quite frankly, probably getting more exercise than most people half their age! I had to look up hypermobility syndrome – that’s a new one to me.